Meet the new vision for deck boat excellence. 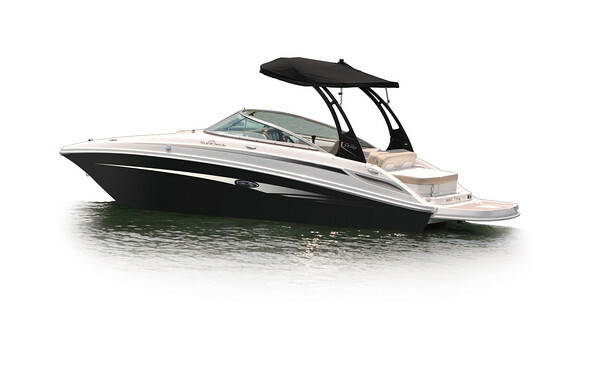 The 220 Sundeck is equipped with an array of comfort-enhancing features and designed for precision performance. It also boasts an impressive 12-passenger capacity. 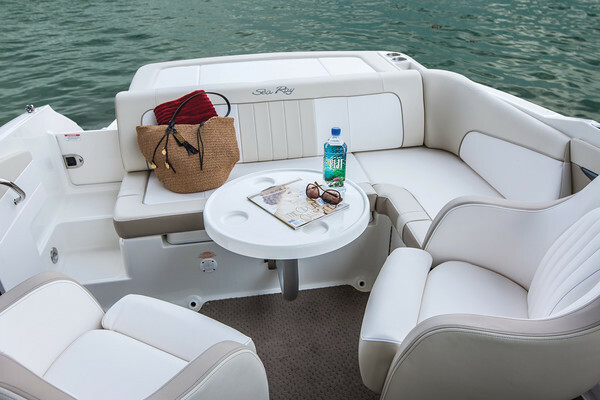 Premium touches like plush upholstery, hand-stitched paneling and chrome bezels lend stylish luxury, while cutting-edge MerCruiser sterndrive technology ensures a smooth, quiet ride, even at full speed.